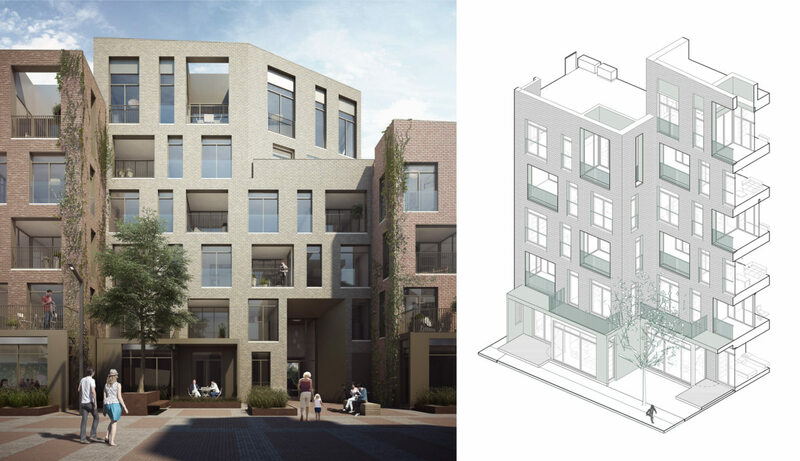 In this project, new urban housing is a device for reinstating diversity, complexity and resilience into an area of urban sprawl. 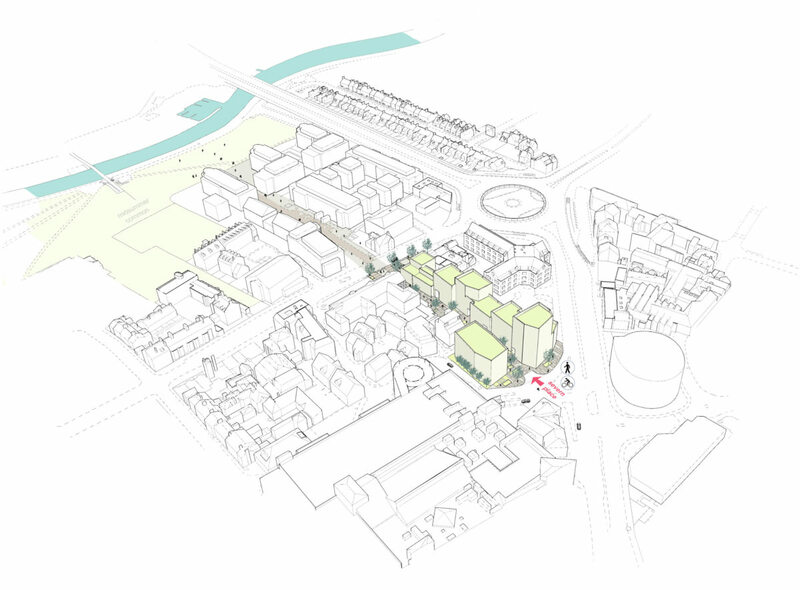 The site is within a quintessentially suburban context: a shopping mall and office park, surrounded by major traffic intersections. 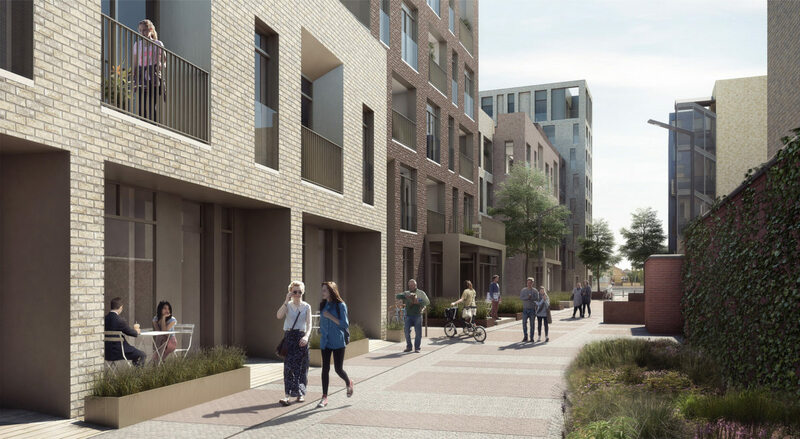 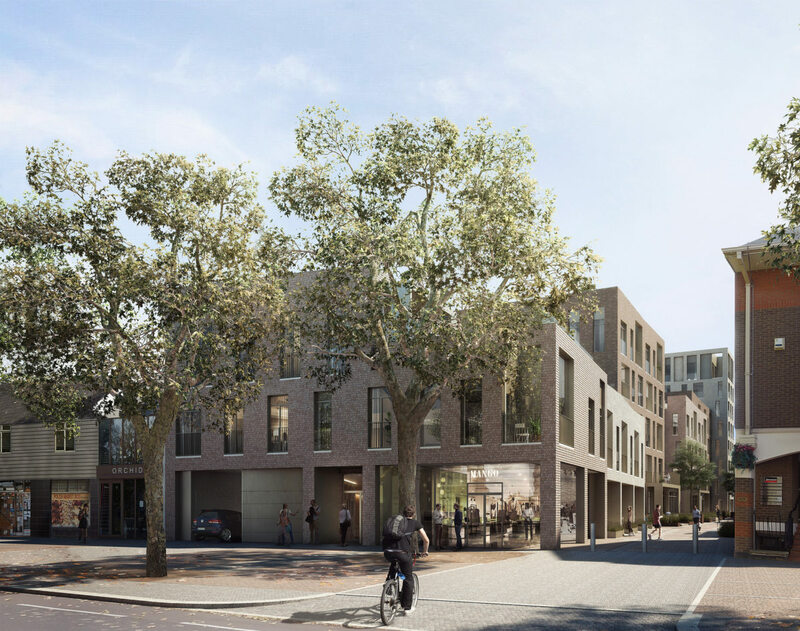 Alison Brooks Architects’ proposal addresses this context by reconnecting two Cambridge neighbourhoods with a new urban passage, framed by high density housing, in an array of staggered, conjoined point blocks. 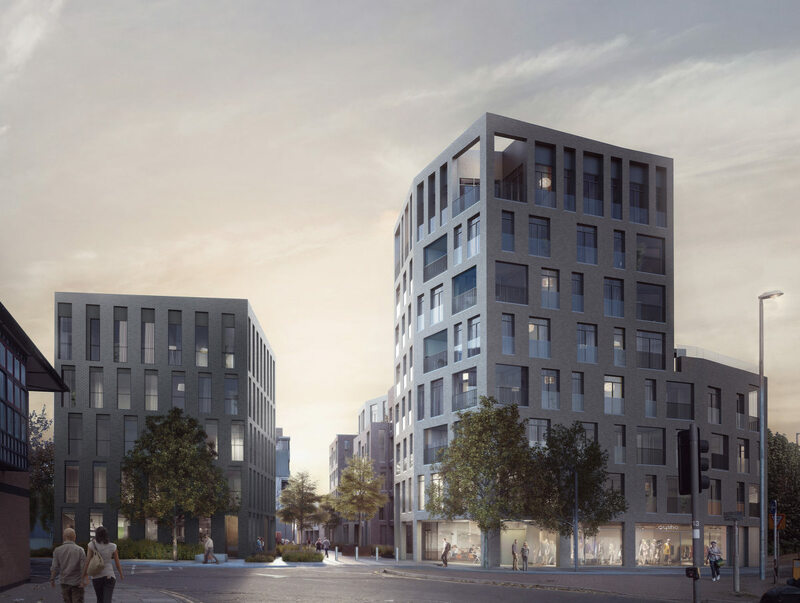 This 11,150m² urban development includes 84 homes, commercial space and basement parking set within eight blocks of varying heights. 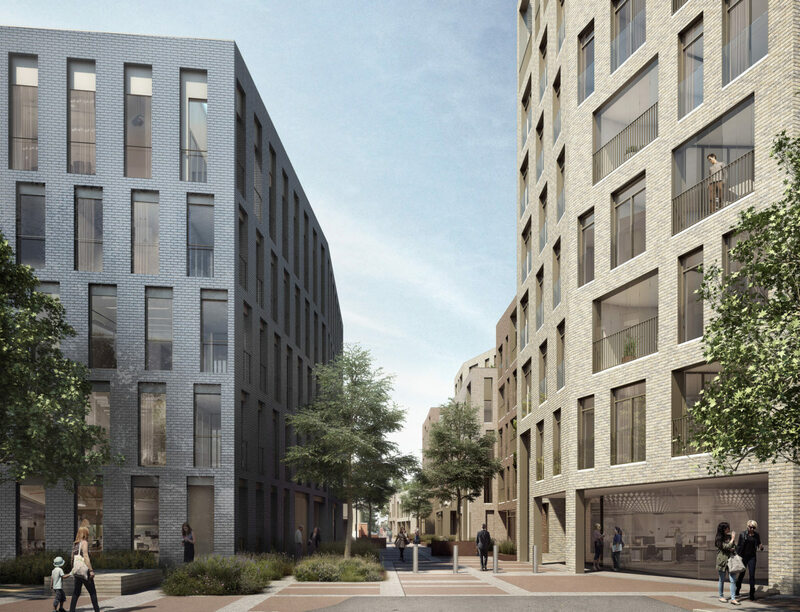 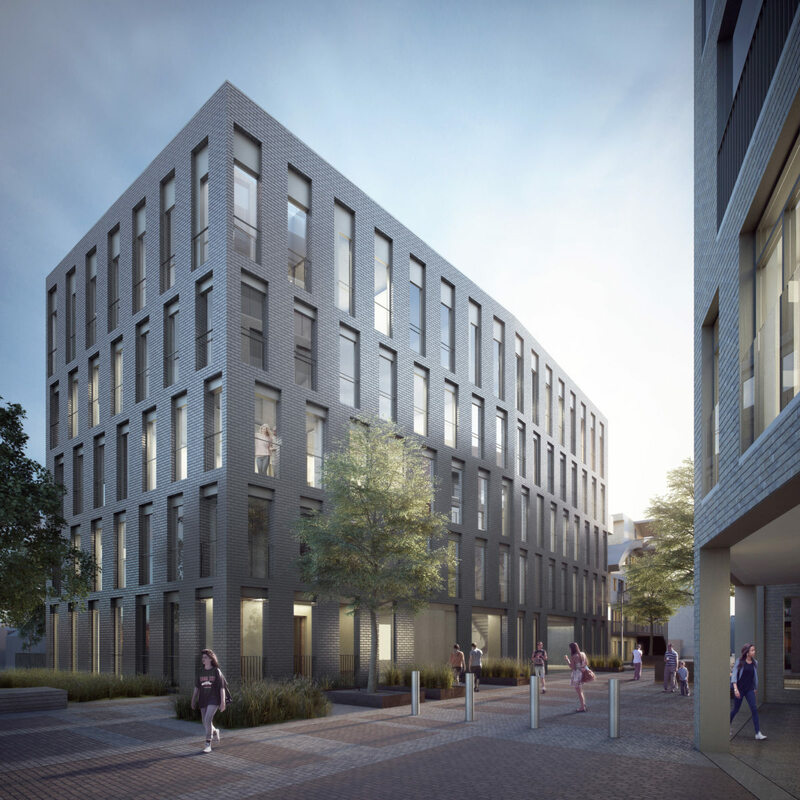 The scheme’s stepped massing, inspired by the informal character and variety of nearby Cambridge streetscapes, subtly subdivides the street into landscaped courts in front of each building. 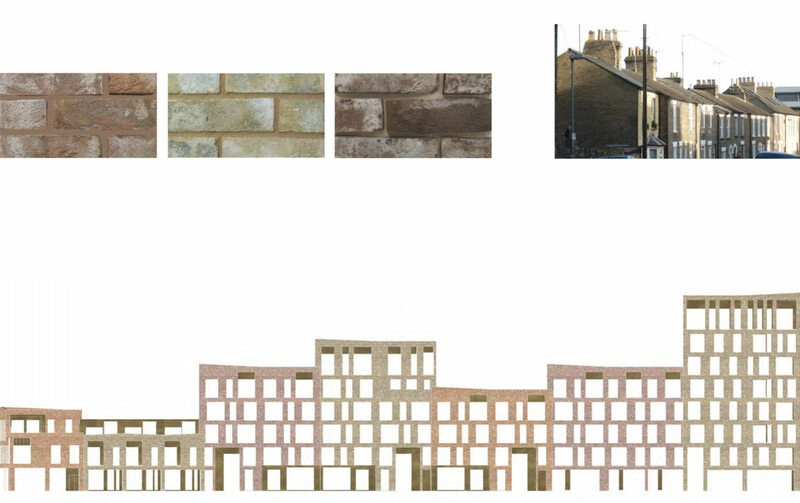 The primary material is brick with subtle differences in colour, texture and reflectivity giving each apartment block its own identity. 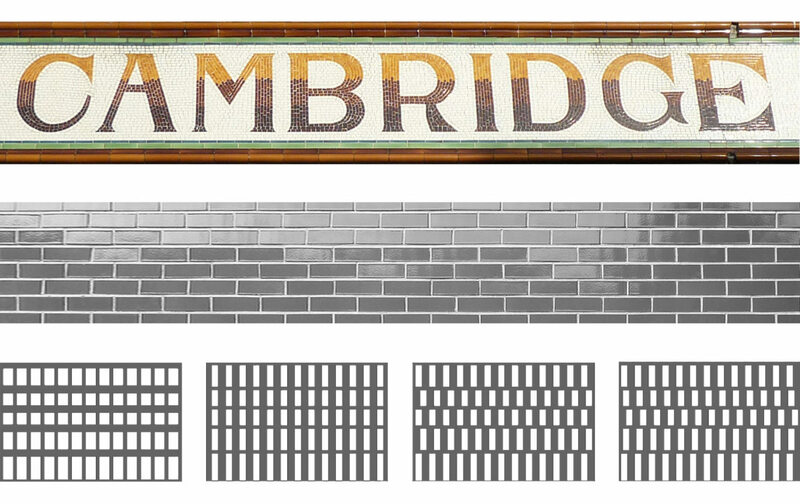 The southernmost block is clad in a blue glazed brick that recalls the terra cotta tiled facades of Cambridge’s 19th C manufacturing buildings. 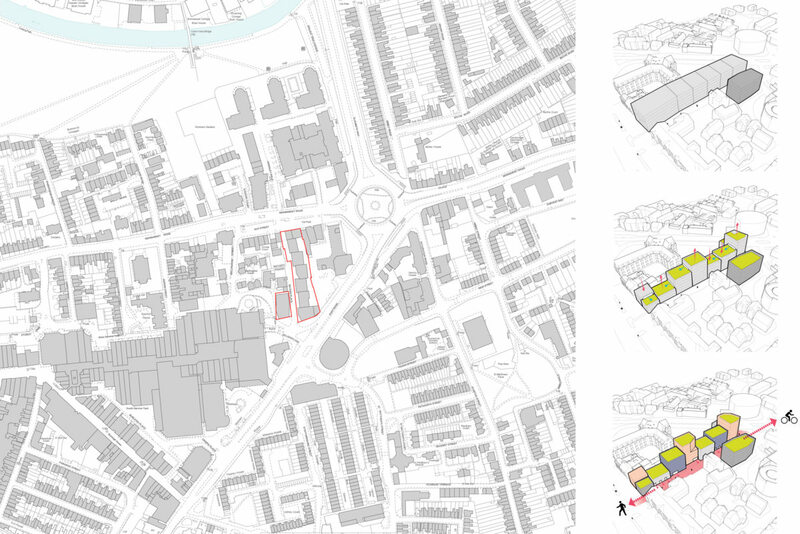 The staggered plan and frequency of cores (three flats per floor) allows 80% of dwellings to have dual aspect and oblique views along Severn Place. 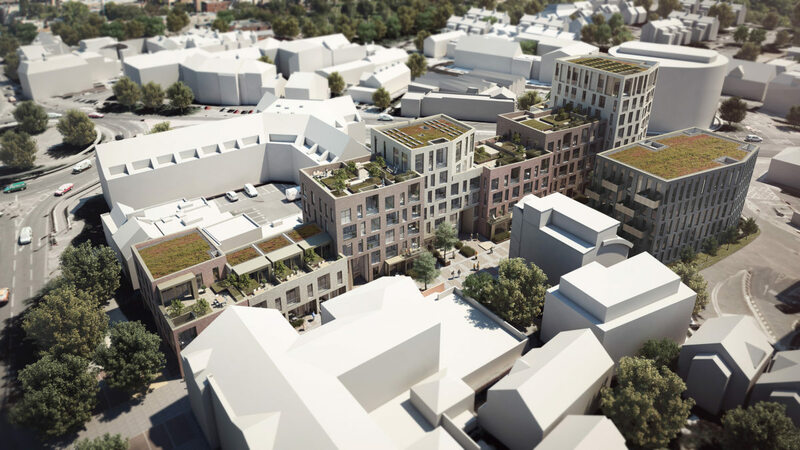 Along with generous private balconies all residents will have access to communal roof gardens. 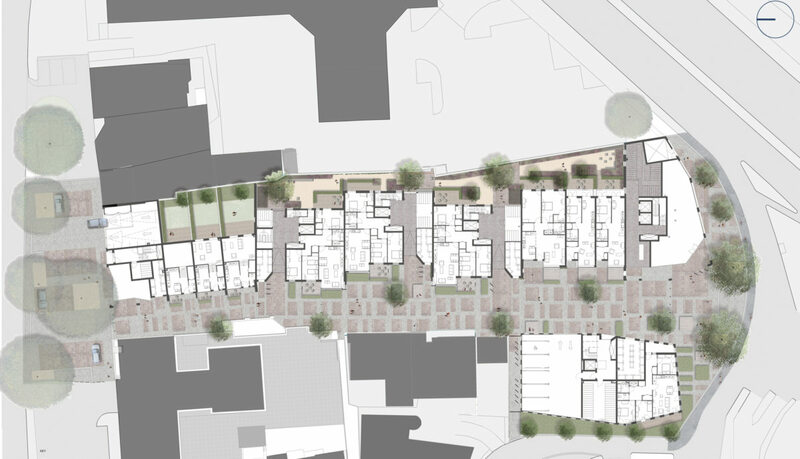 Projecting porches and decks onto Severn Place will encourage use of the street as an ‘extended living room’.